Weather that weekend was beautiful so it was the right time for exploring something some new place. What about going hiking? Yes! But where? 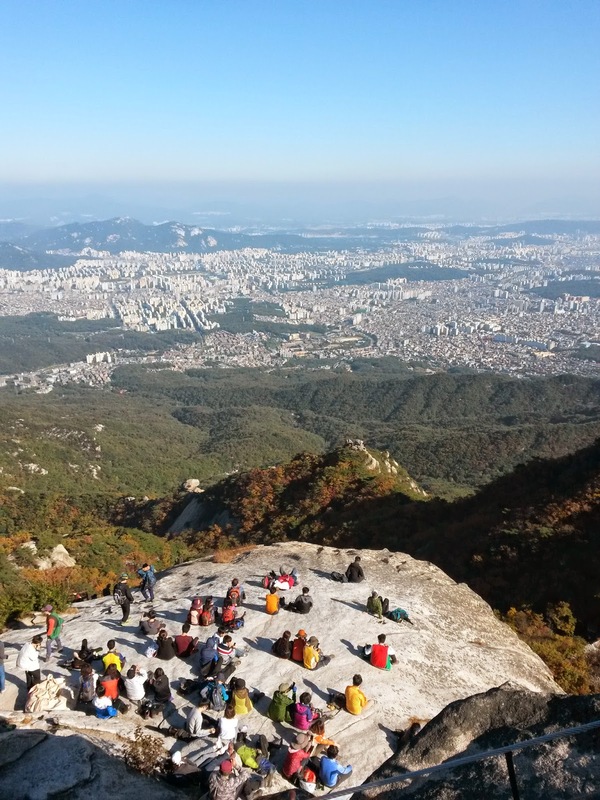 Fortunately Seoul is sorrounded by mountains. 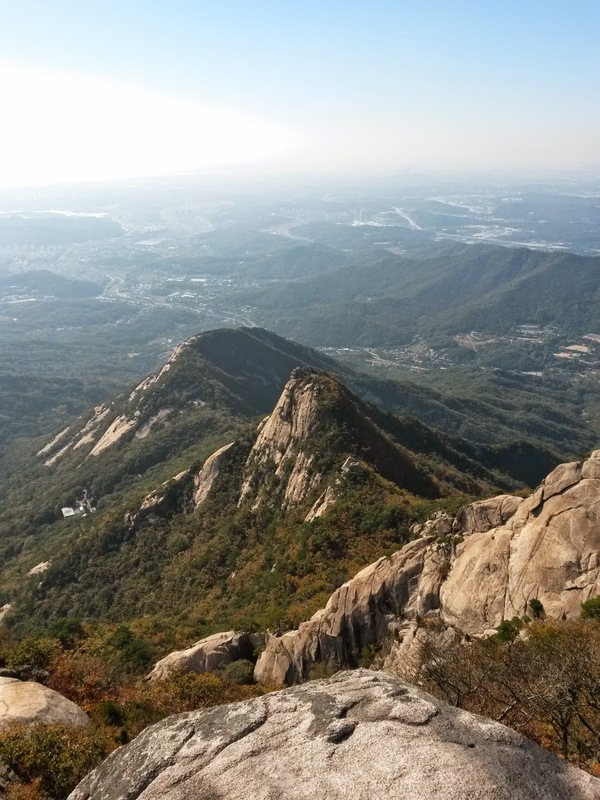 I decided to get to the highest peak called Beakunde in the Bukhansan national park. Some of my friend had already been there so I was warned not to underestimate the mountain. It is really tough Thang he said however I felt quite confident. So my solo adventure began by a breakfast at Paris Baguette (the chain french bakery) and then it took only 2 hours :-D to get to the feet of mountain. 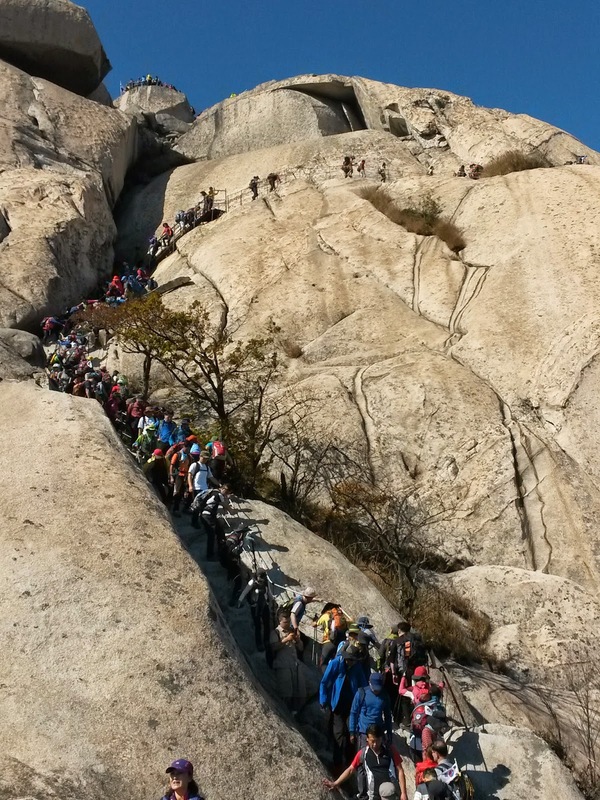 After arriving to basecamp it was so easy to find the way up cause hiking is very very popular among koreans specifically older people so I just followed the most crowded stream. Btw if Koreans are into some hobby they are super serious about it. They were fully professionally equipped to survive a blizzard :D comparing to my outfit - jogging shoes, suite pants and fancy backpack. Enough words here are some photos :-) and also a video! As my friend told me it was quite tough though :D however definitely worth of every single drop of sweat. Because the view on the top was spectacular! Totally breathtaking that I stayed almost two hours up there enjoying the beautiful view and eating snacks. It took 3 hours to the top. The only downside was climbing down cause it took ages!